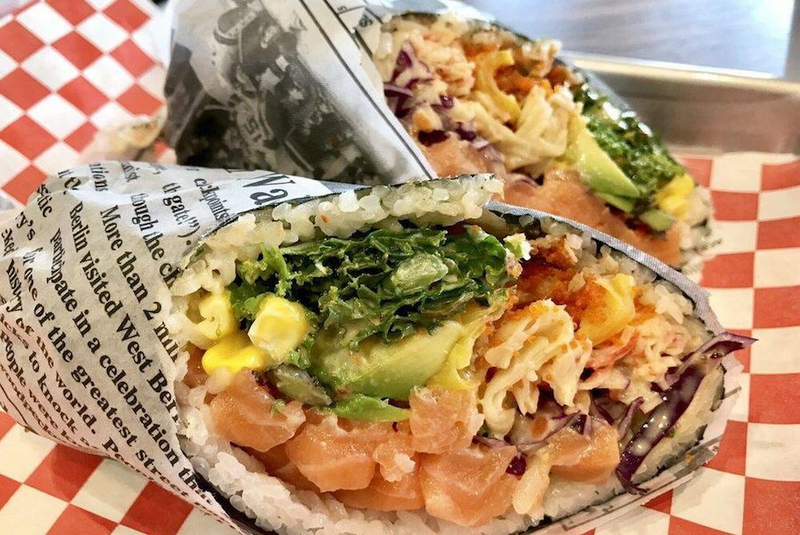 A new poke joint offering bowls, salads and burritos has opened its doors in the neighborhood. The fresh arrival to Morningside Heights, called Hula Poke, is located at 1028 Amsterdam Ave.
Diners can customize their own meals by choosing proteins, sauces, toppings and format (over rice, over salad, or inside a sushi burrito). Those in a hurry can instead opt for one of the signature poke combos, such as the Samurai, with salmon, cucumber, carrot, red onion, mango, seaweed salad and sriracha aioli. Hula Poke has proven popular thus far, with a 4.5-star rating out of three reviews on Yelp. "The place overall is clean and is spacious," Yelper YouJean C. wrote. "They were pretty generous with the toppings, which I believe are unlimited." And Zach G., who praised the reasonable prices, added, "Not anything that unique as far as poke places go but solid on all fronts. Good variety of toppings/mix ins, all fresh. Plus you can add as many as you want for the same price, with the exception of a few (avocado $1.50 extra)." Head on over to check it out: Hula Poke is open from 11 a.m.-10 p.m. Monday-Thursday, 11 a.m.-11 p.m. on Friday and Saturday, and noon-10 p.m. on Sunday.